KWH (a local watchdog group)dared to file a Writ of Mandate to obtain public documents, in 2002, to expose the corruption at this small utility. In 2002, LMUD would not disclose what they were paying the Board members, what they were spending on the phony Arrowrock hydro project. KWH did an unprecedented act...they challenged Frank Cady. To request public documents from LMUD then... you would be met with insults and threats by Frank Cady and you would not have a remote chance of obtaining ANY PUBLIC DOCUMENTS FROM LMUD. Frank made sure of that. 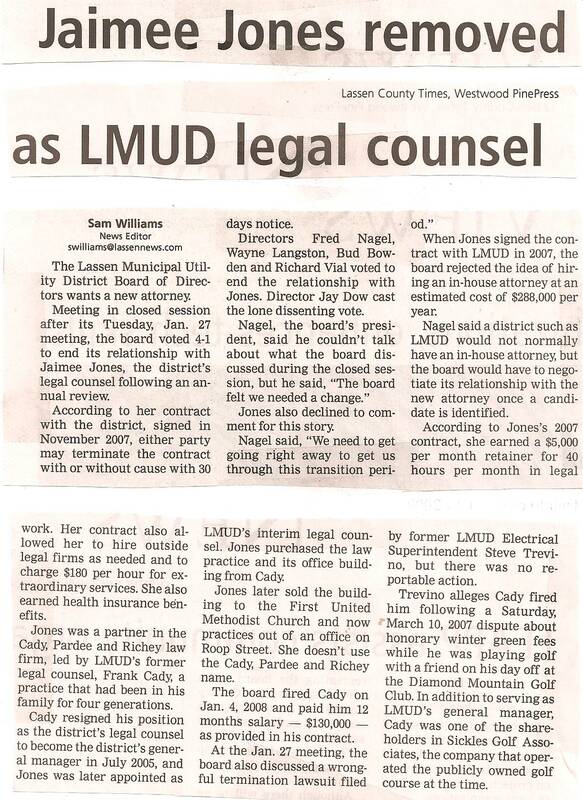 Other than employee records, there isn't too much at LMUD that is not disclosable, but the newly replaced LMUD Board were told by Frank Cady that the public does not have a right to know how much they are spending and what they are spending the public money on. KWH requested records of the Board Salaries. These salaries are fixed at $600 a month by law. 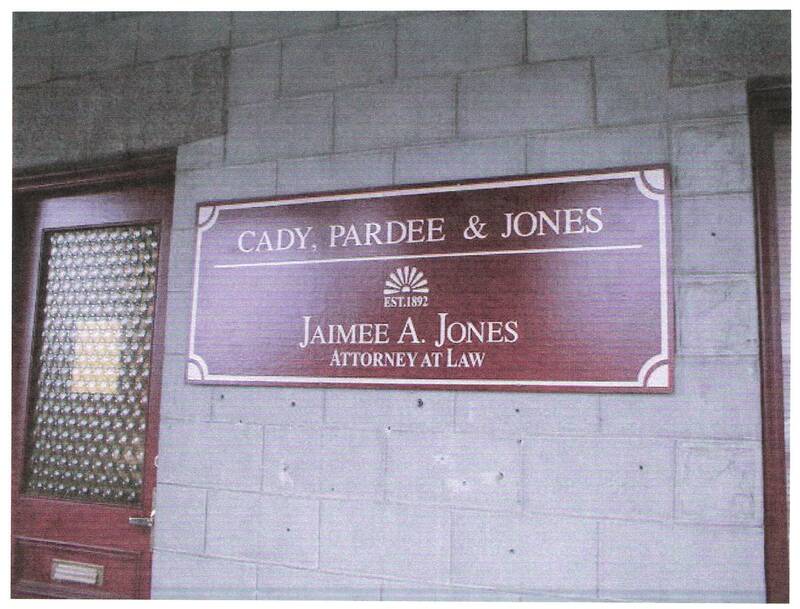 LMUD's attorneys, Frank Cady & Jaimee Richey/Jones refused to disclose these documents. KWH requested a copy of the Arrowrock Feasibility Study. The ratepayers were told that they paid for this study ($150,000). Frank Cady went into court and lied. He told the court that this was never finished and it didn't belong to LMUD. Yet, this same study was used in a RFP for the Arrowrock Hydro Project in October 2001, prior to the KWH filing the Writ of Mandate. This amount was based on Frank Cady and Jaimee Richey/Jones "Exhibit A". KWH submitted to the court that this "Exhibit A" had been grossly and fraudulently inflated. The court agreed and reduced it by $24,000. Cady and Richey/Jones had included fictitious charges. The Appellate court appreciated, as did Lazard, that to overturn the lower courts decision would then expose Cady, Richey/Jones and the LMUD Board to fraud. 2/9/09 to determine KWH's ability to pay $50,000 in legal fees. Jones admitted, to the court, that many mistakes were made on "Exhibit A". Jaimee Richey/Jones has been ordered, by the current LMUD board, to go after pensions, savings, homes, vehicles, personal property and anything of value to repay the ($)$50,000(?) so as to deter the public from ever invading their "private" company again.